LiveCode LessonsLiveCode LessonsHow to Purchase and License LiveCode ArticlesHow do I retrieve my Password and Activate LiveCode? Enter your account email address (1), which will be indicated in any emails we may have sent you. 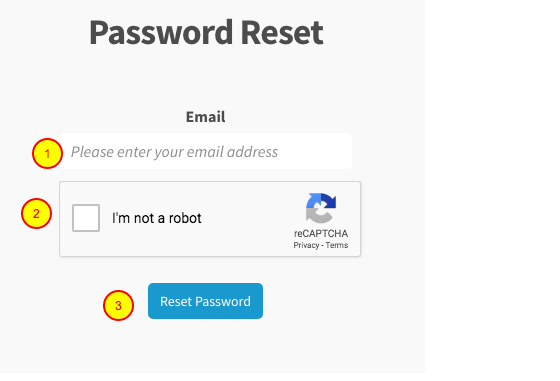 Check the box to prove you are a human being, and click Reset Password (3). A new password will be emailed to the address you entered. Note that if you enter an address that is not the same as the account email address we have for you, no password will be sent. 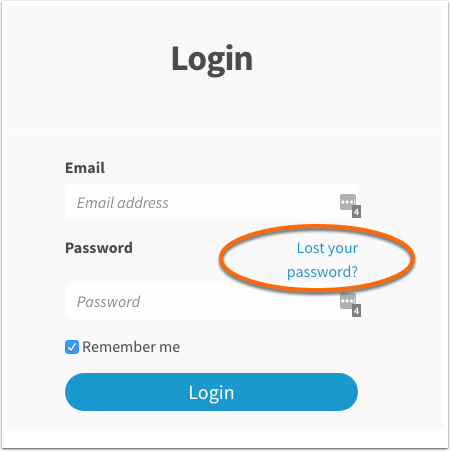 If you no longer have access to the email address you are trying to reset, or you are not sure what your account email address is, please email support@livecode.com and we will be happy to help. If you don't receive the password reset email please do check your spam filters before contacting support. 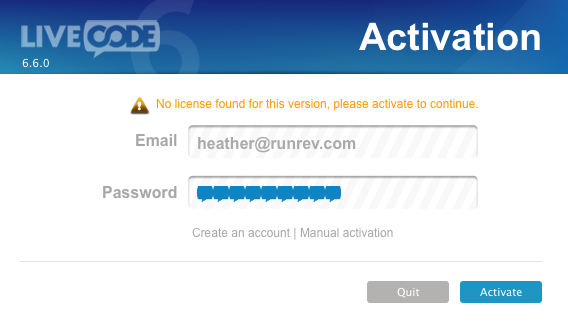 Just enter your email address and password in LiveCode to get started with your commercial license. Next: How do I Manually Activate LiveCode?